Poinsetta pattern Blue Ridge pottery; hand-painted porcelain cup; photo © Eileen C / Crochet Attic on Flickr (all rights reserved; used by permission). 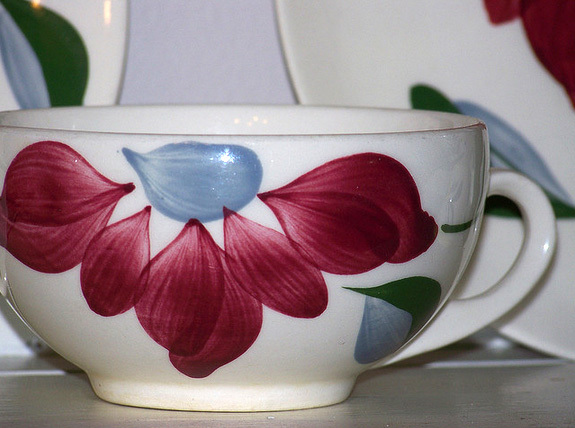 At one time, Blue Ridge china was the best-selling dinnerware in the United States. There was a series of artist-signed plates that are very rare and valuable today. 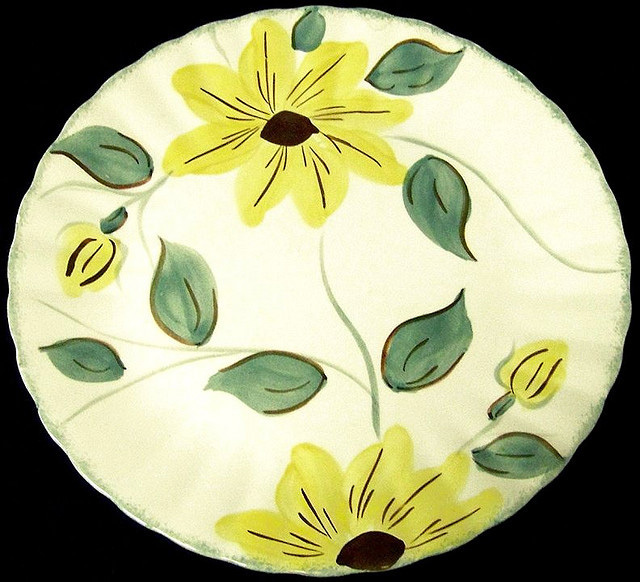 "Sunfire" pattern antique hand-painted Blue Ridge porcelain dinner plate; photo by Maia C on Flickr (noncommercial use permitted with attribution / no derivative works). 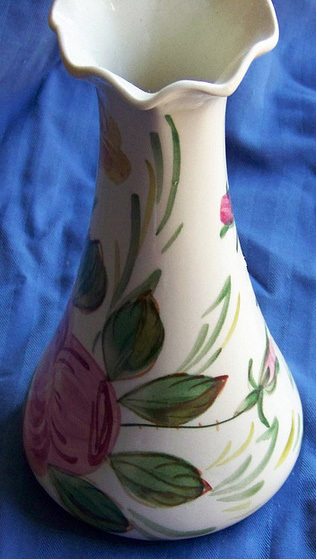 Blue Ridge hand-painted porcelain vase; photo © Eileen C / Crochet Attic on Flickr (all rights reserved (used by permission).